Singing, dancing, acting, devotions, and a whole lot of fun! 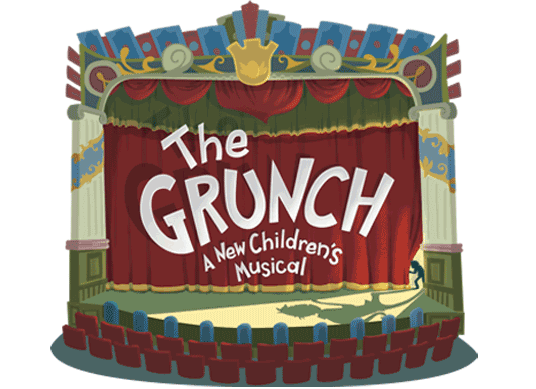 Inspired by "The Grinch Who Stole Christmas," The Grunch tells the story of Rudy Grunch, a grumpy 6th grader who always feels like an outsider. When the entire school gets excited about the annual school musical, he comes up with a perfect plan to ruin it for everyone; he'll steal the sets, costumes, and lights the night before it opens. But, will the spirit of theatre prevail? Join us to find out! Times: 8:30 a.m. to 2:30 p.m. Performance: Aug. 3; 4:00 - 7:00 p.m.